Scratch, Alice, Greenfoot—What’s the difference? 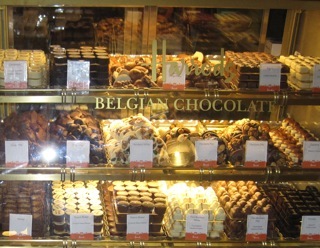 Do you remember the feeling when you were a kid and you had the fantastically rare chance to go into a sweet shop (or, as the Americans among us would probably say: candy store), and you actually had a bit of money, and you could buy something, and there was just so much choice? Wow. This is what it seems like with educational programming software. Some ten years ago there was not very much around (at least not much that was in widespread use and had good resources), and now there is plenty. For a teacher of introductory programming, it’s a bit like being the kid in the sweet shop: So much here to look at, so much good stuff. But so hard to choose! To help a little with that situation, we organised a panel session at the last SIGCSE conference called Comparing Alice, Greenfoot and Scratch which compared these three environments. “We”, in this context, were Sally Fincher and Ian Utting who organised the session, and Steve Cooper (Alice), John Maloney (Scratch) and myself (Greenfoot) presenting the environments. I really enjoyed the session – it was great to get one of the leading people involved in each of the development teams to present the environments, and it was well received: the room was packed full and the feedback was good. But panels are transient – no good record is available for those who were not there. So we are now working on a series of articles for a special issue of the Transactions on Computing Education doing the same in writing. They should be published together in a single issue later this year, and include a paper on each of the three environments and a discussion section where we talk about commonalities and differences. To read it, you have to wait until it comes out. But as a teaser, here is a graphic that we made for the papers, showing the target age groups for each of the three systems. Maybe this answers one of your questions already. For everything else, you’ll have to wait a little longer. Workshops for SIGCSE due soon – Greenfoot? A couple of days ago I received an email calling for workshop proposals for SIGCSE 2011. I have given Greenfoot workshops there for the past few years (and BlueJ workshops before that). Now I am wondering whether I should do the same again. I am definitely planning to propose a Greenfoot workshop, but I am uncertain about the level that I should aim at. Should I do the same beginners’ workshop (for people who haven’t seen Greenfoot before) or is it maybe time to do an advanced one to help people move forward who have seen the basics of Greenfoot? I just received the feedback from this year’s workshop, and it was certainly popular. I got really nice, very positive comments (someone wrote “This was exactly the “killer app” that I had hoped to run across at this conference” – thanks!). So that workshop works well as it is. And the fact is without a doubt that the majority of participants at SIGCSE do not know Greenfoot. On the other hand, we want to support our users. Teachers who have adopted Greenfoot in the past couple of years might like some further tips and opportunity for discussion. At this stage I am undecided. I will have to make my mind up in the next couple of weeks. If you have an opinion – let me know. I have just reached the end of the first week of teaching here in Berlin, at the “Institut für Informatik“, part of the Freie Universität Berlin. I am teaching a module called ProInformatik III: Objektorientierte Programmierung – a block course that runs every day with five hours of contact over four weeks. Apart from the fact that translating technical terms into German poses regular challenges (what’s the German word for Debugger? ), that apparently my German sounds funny now (well, 18 years out of Germany have left their marks…) and that I can still use a blackboard with chalk (we had a power-out yesterday), one of the most interesting observations is that the students here are much more talkative, more engaged, and ask much more interesting questions than my students at home. Where does that come from? Well, partly this comparison is unfair. This is a summer course that students can take as a taster before they start to study. If they pass it, and then enrol in the degree programme, they get full credit. This naturally leads to a selective audience. I would guess that it is much more likely that the well-motivated, organised, keen (and possible good) students participate in these voluntary summer courses, so I’m dealing with a subset that is probably easier to teach. However, I wonder whether there is also another factor at work. In Germany – compared to UK – school starts a year later, and lasts a year longer (although that is just changing now, with most states in Germany changing from 13 years to 12 years of schooling). That means students enter university two years later. Add to this the fact that Germany has compulsory military service (for males only) we get a situation – in this male dominated discipline – where many of our students are three years older than their UK counterparts. In other words: Many start here at an age where UK students finish. The effect is startling. Instead of dealing with kids, I’m dealing with young adults. I wonder whether another year of life before study wouldn’t be a good thing for UK students as well. 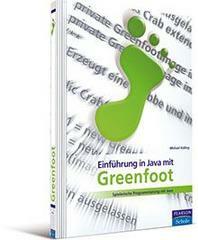 The Greenfoot book, which teaches Java programming and object orientation with the Greenfoot environment, is now available in German (as well as the original English). That’s great news: Germany is probably the country with most Greenfoot users outside the English speaking world, and having the book in German will make use of the book – be it adoption in the classroom or casual reading by hobbyists – much easier. I have just received my copy, and it looks great. The publisher has done a great job with full colour printing and good quality paper. The translation is great, too – it was done by Carsten Schulte from the Freie Universität Berlin. I was really lucky that the publisher found such an excellent translator. It shows that he’s a computer scientist and an educator as well. His deep understanding of the concepts has clearly led to a much better translation than someone without subject knowledge could have produced. I’m happy to see it out, and to see it end up looking this nice. Numbers of students studying computing are plummeting across the UK, with a fall of 33% in just three years in ICT GCSE students, a fall of 33% in six years in A level ICT and 57% in eight years in A level Computing students in England and similar declines found elsewhere in the UK. This is the latest development in a growing trend in the UK that recognises the dismal state of computer science education in UK schools, and starts to work on finding solutions. I became involved in this topic a couple of years ago, through the Computing At Schools (CAS) group, a fantastic movement of really motivated and smart individuals initiated by Simon Peyton-Jones. This has grown over the years with initiatives such as developing curriculum for schools, organising computing teacher conferences, and founding a computing teachers association. While the announcement of the study contains little new to those who already had an interest in the topic, it’s great to see that the Royal Society is getting interested and getting involved. This helps getting more organisations on board with making a change (already apparent from the announcement) and will push the issue higher on the agenda of those who are in the position to make decisions. There is no doubt at all in my mind that such change is urgently needed and important. Currently, there is a whole generation of kids, some of whom would make great and enthusiastic computer scientists, who never find out about the possibilities and joys of this exciting discipline. I am on sabbatical. Yes, I will have one year study leave without teaching at home! This is the first time I have done this. As of now, I officially have time to concentrate on my research for a while. I fear that I might have too much planned already. What started out as a thought of a quieter, less busy year is already turning into what looks like a very busy time. But that’s okay – there are things coming up that I enjoy doing. First, from today, I will be in Berlin for a while, teaching a block course at the Freie Universität Berlin. I will then teach the same material there again in long form in Spring next year, when I’ll spend three-and-a-half months in Berlin. During my time there, I am planning to work with the department on improving teaching techniques, material and tools. 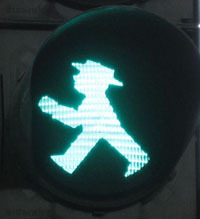 After my initial Berlin stint, I am planning to spend some time trying to build up a network of Greenfoot Hubs and to write – jointly with David Barnes – a new edition of the BlueJ book. And we are planning a lot of work on Greenfoot as well. More on all of that later, I hope. Who knows, maybe this also means that I will be able to update this blog more often, and to provide a little more regular updates of what we are working on. For now, it’s time to dust of my slightly rusty German. My plane lands in an hour, and there should be a good German beer waiting for me somewhere.